Medical Cannabis Clinic now open! Hardings Pharmacy is delighted to welcome experienced General Practitioner Dr Lee Ho to our team of Health Professionals. 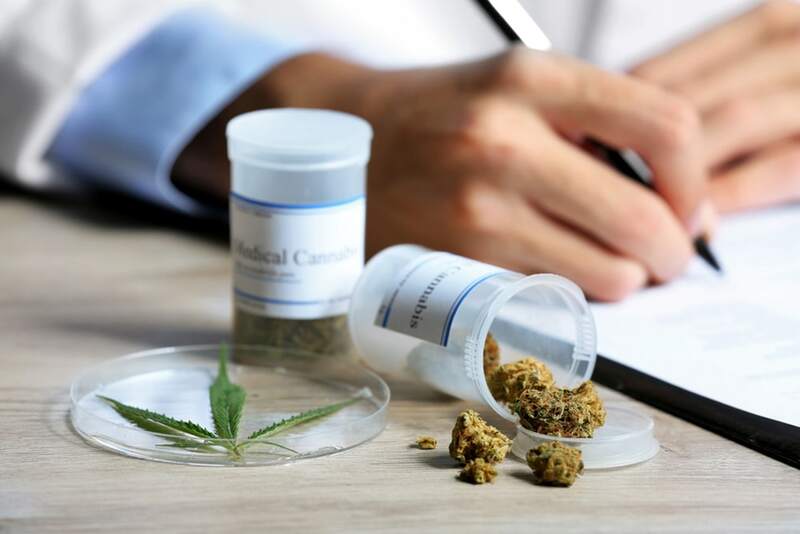 Dr Ho has opened a specialty clinic to assist suitably qualified patients to gain access to medical cannabis products via the Special Access Scheme. Information about this plant has been suppressed for decades and it was not until about 40 years ago that a scientist in Israel studied the compounds that make up Cannabis and discovered their medicinal properties. The main compounds derived from the cannabis plant are called THC and CBD. These are formulated as oils, capsules or dried flower. THC is what causes the ‘high’ feeling, but it has also been found to reduce nausea, vomiting, pain, muscle spasms and improve sleep and appetite. CBD has been found to reduce the ‘high’ caused by THC, and may also be effective for seizures, pain, and to reduce anxiety. Together, THC, CBD and the Terpenes may benefit a range of conditions. Category A is a notification pathway that can only be accessed by medical practitioners for patients who are seriously ill with a condition from which death is reasonably likely to occur within a matter of months, or from which premature death is reasonably likely to occur in the absence of early treatment. Category B is an application pathway that can be accessed by health practitioners for patients who do not fit the Category A definition and where the unapproved good is not deemed to have an established history of use and cannot therefore be accessed through Category C. An approval from the TGA is required before the good may be accessed. Approvals for medicines accessed through this pathway are typically only issued to medical and dental practitioners. View the TGA-SAS website here. AM I ELIGIBLE FOR MEDICAL CANNABIS? To be eligible for medical cannabis in Australia, you must have a condition for which there is some evidence that medical cannabis helps. Patients must also have tried conventional treatments for that condition and found them to be ineffective. The decision to try medical cannabis must be a made together with your GP or specialist. Chemotherapy Induced Nausea and Vomiting. Your Doctor or Dr Ho from our Clinic will be able to advise you if your condition is an eligible condition and worthy of an approval application being submitted to the TGA and Queensland Health. Dr Ho’s consultation fees are not bulk-billed but a medicare rebate may apply. Whilst Hardings Pharmacy has the services of Dr Ho who has established a medical cannabis speciality clinic, any registered Doctor can prescribe this new medicine. Please enquire about fees when making an appointment. The manufacture of medicinal cannabis is highly regulated and must conform to strict Good Manufacturing Practices – this means products are manufactured under GMP conditions, are free from harmful ingredients, that doctors know what is in it, and that the effect it has for a patient will be consistent from bottle to bottle. All drugs have side effects, and like any other medicine, medicinal cannabis may or may not be right for you. It’s important to speak to your doctor about your treatment and questions about medicinal cannabis. Hardings Pharmacy Cannabis Clinic will be using MedReleaf Brand of medical cannabis products once they become available in Australia, as they are renowned as being of the highest quality, accredited by both Health Canada and the EU and manufactured under stringent GMP manufacturing processes. Until this time, we will be using Cannimed products from another Canadian producer associated with the one of the world’s biggest cannabis companies, Aurora Cannabis. As the community’s most accessible and frequently used health care providers, pharmacists have a unique opportunity to boost immunisation rates. If you would like to find out more about being immunised, or to book an appointment, please contact us. We have been providing the highest quality health care and medicine advice since 1983. Located next to the Annerley SmartClinics Medical Centre, Hardings can fill your prescriptions and will also ensure that you understand how your medicine/s work.